This full-zip hoodie is designed for climbers and belayers and built for sport climbing, climbing trips and every other day. Roc Session Series This full-zip hoodie is designed for climbers and belayers and built to keep you cozy and comfortable. The heavy cotton fabric is soft and the high collar and handwarmer pockets will keep you cozy and warm on those chilly early-morning or late-afternoon bouldering problems. 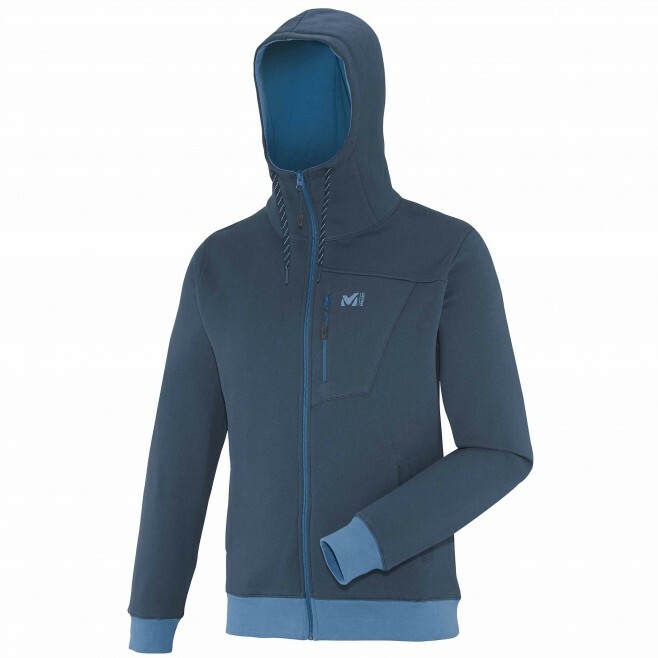 Ribbed cuffs and hem maintain the hoodie in place and Millet's Climbing Fit optimizes freedom of movement. A quick access chest pocket allows to stash frequently used small items. The K2 Spirit hoodie is a good pick for climbing sessions, climbing trips and every other day.